Who knew homemade dairy-free and vegan fudge could be so delicious—not to mention easy to make. There's a secret that not too many people know about making homemade vegan fudge, and that is that it's actually quite a bit easier to make vegan fudge than it is to make regular fudge. There are fewer variables in making a dairy-free chocolate fudge, which means that there are fewer opportunities for something to go wrong. And that means that this simple vegan fudge recipe—made from just five simple ingredients—is just about foolproof. This vegan chocolate fudge recipe may be deceptively simple, but the end result is absolutely delicious. I can't claim that this recipe is at all healthy (it is fudge, after all, and the main ingredients are margarine, sugar, and chocolate), but it sure does taste good! And, since it is completely dairy-free and vegan, it is also lower in fat than other fudge recipes, and is cholesterol-free. This vegan fudge recipe is also completely gluten-free. But again, none of that means it is exactly healthy. If you're looking for more homemade vegan and dairy-free fudge recipes to browse, you might also want to try vegan peanut butter fudge or double chocolate vegan fudge. First, lightly grease a 5-by-9-inch loaf pan using a little bit of the vegan margarine. Place the rest of the remaining vegan margarine, the sugar, cocoa, vanilla, and the soy milk in a heatproof mixing bowl or the upper part of a double broiler. Place the bowl or broiler over simmering water and stir until the vegan margarine is fully melted and the mixture is completely smooth. Add the chopped nuts if you're using them, gently folding them into the mixture just until well combined. Next, pour the mixture quickly into the prepared loaf pan. Place your vegan fudge in the refrigerator until thoroughly chilled. Be patient at this step, and plan on at least two hours for your fudge to fully chill and set. 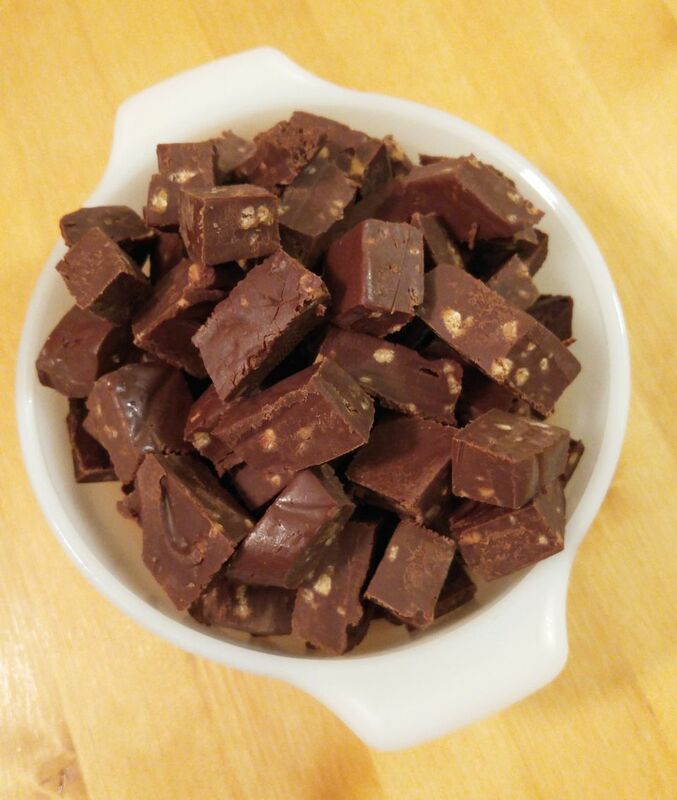 Once your fudge is firm and fully chilled, remove from the refrigerator and carefully slice into one-inch bite-sized squares. For a cleaner slice, you can also place your fudge in the freezer for about five to 10 minutes just before slicing.